Airy is now an official Facebook Marketing and Messaging Partner, a distinction earned by a select group of companies that develop innovative technologies, which integrate with and enhance Facebook’s native applications. Airy is now an official Facebook Messaging and Marketing Partner, a distinction earned by a select group of companies that develop innovative technologies which integrate with and enhance Facebook’s native applications. 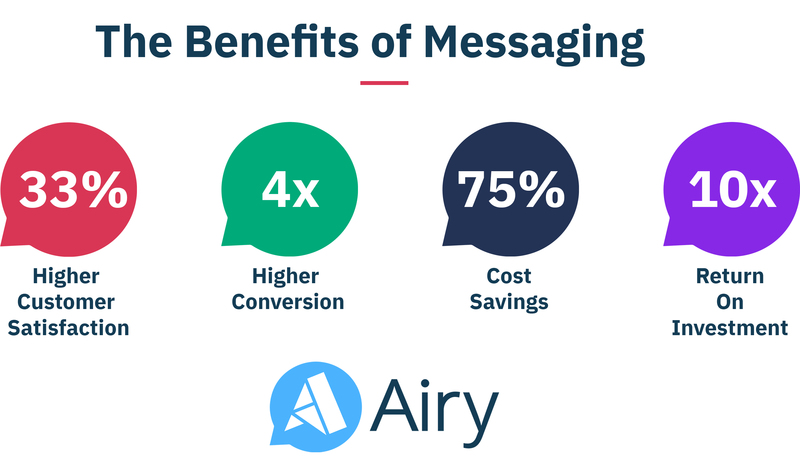 Airy provides businesses with the tools to succeed in messenger marketing, lead generation and customer support thanks to features like Saved Replies, Interactive Image Templates, Customer Tags & Filters, a Unified Messaging Inbox for teams and more. The platform also enables organizations to automate responses to frequently asked questions, solicit customer input via a Customer Feedback Template, execute automated marketing campaigns and deliver highly-engaging Messaging Subscriptions that boost customer satisfaction by as much as 33%. The Facebook Marketing Partners program was developed to provide businesses with a directory of companies whose products supplement Facebook’s own and better position users to succeed in the Facebook ecosystem. The Airy team is excited to be included in this highly-reputable, global network of professionals and looks forward to working with Facebook to help businesses achieve success through messaging. For more information visit http://www.airy.co or download Airy Messenger from Google Play or the Apple App Store. Airy provides businesses with messaging-powered marketing and communications tools that are cost-effective, frictionless, and user-friendly. With headquarters in San Francisco and a development office in Berlin, Airy’s team of experienced, knowledgeable professionals is led by veteran founders Steffen Hoellinger, Emanuel Stehle and Skander Garroum. Messaging increases customer satisfaction while saving companies time and money. Airy provides businesses with messaging-powered marketing and communications tools that are cost-effective, frictionless, and user-friendly.